The Red Hook Open Studios is this weekend, and i’m in it! Group show coming up this Friday! So last year I was asked by the awesome author/editor Gavin Edwards to contribute to the ’The Beautiful Book of Exquisite Corpses’ published by Penguin Books. Today is the release! You can find it at your local bookstore or on Amazon. I am in concert with an amazing lineup of artists, musicians, cartoonists, tattooers, DJ’s and more including anyone from Grace Slick, Milton Glaser, Moby, Robby Krieger (the Doors), Gavin Rossdale, Rivers Cuomo, Peter Kuper, Moon Unit Zappa, Jim Woodring, actor Griffin Dunne, Gavin Rossdale, Rivers Cuomo, former baseball player Lenny Dykstra as well as old friends Dean Haspiel and Duke Riley. The list goes on! You too can be in the book, as the format is explained: The game of Exquisite Corpse is simple: two or more people create an unpredictable artwork by folding the paper to hide each contribution, leaving only small connective lines for clues. The unfolded page reveals a finished collaboration—sometimes wacky, sometimes twisted, and always unique. 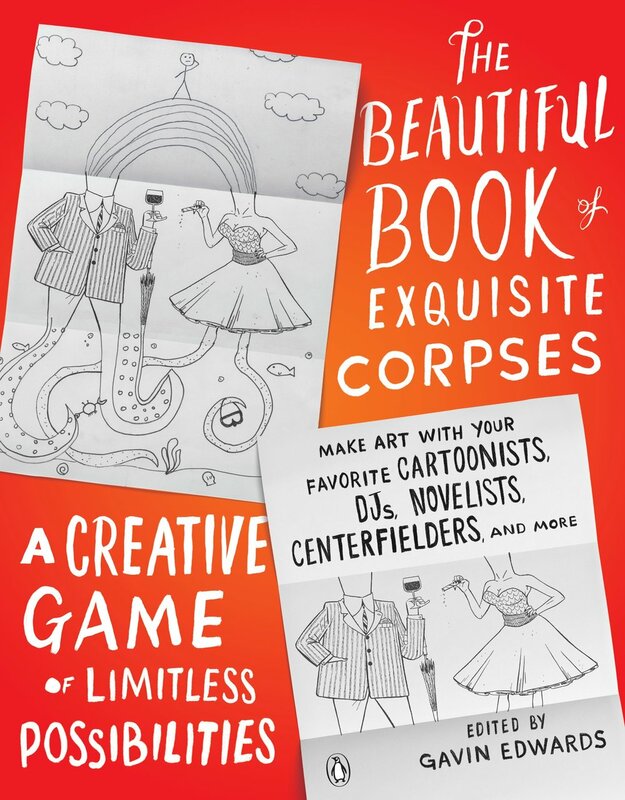 With this book, you can create your own Exquisite Corpses, with friends or on your own, because the pages are already packed with potential collaborators. Go buy the book and have fun with it! Bring your book to me and i’ll do some original artwork in it! Welcome to my first post on the new website. I have been slow to update it in the past, but with this new format, hopefully I can keep current and keep you coming back to see what’s up, and hopefully, in the near, or distant future, w we can work together!